When Capt. 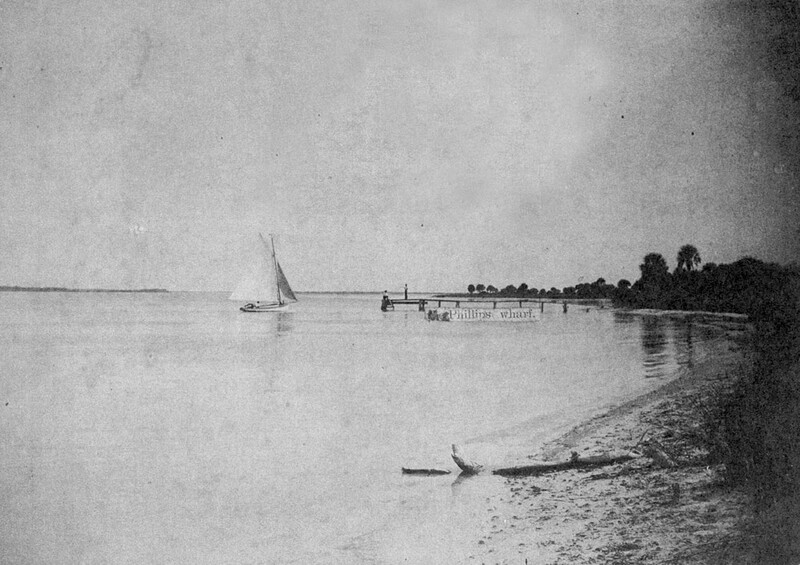 Zephaniah Phillips moved his family to the St. Petersburg area of Florida he and his sons, Zephaniah Jr. and Clarence, built this boat in 1885 and named it the Silver Moon. The Silver Moon was used by the Phillips to ferry lumber from the mainland to the Pass-a-Grille barrier island to build a house - the first house built on the island. The sign on the dock says "Phillips wharf." This photograph was taken in April 1890 by Ed Durant. The Phillips family settled the island on 14 September 1884.